There are many ways in which the Credentialed Evaluator (CE) designation is making a difference for evaluators. The CES Credentialing Board has been hearing about the the value of the Credential to CE-holders, and the many ways in which the CE designation has opened up new professional connections and career trajectories. 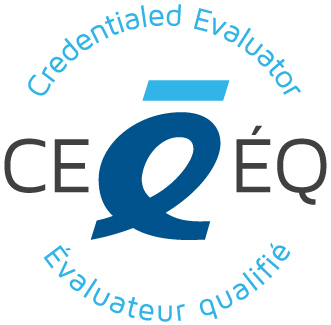 We welcome you to read some of these authentic stories of CES Credentialed Evaluators to learn about the benefits of obtaining the CE designation. The overarching theme is that these stories show change. The change may be personal (self-improvement, self-confidence), organizational (recognition of the benefits of Credential Evaluators), or economic (access contracts or jobs they may not have been able to get). One thing they all have in common is that having a CE has made a difference in their lives. The stories show a broad range of experiences among CEs. There are internal and external evaluators in all fields and sectors; those who evaluate programs in community, provincial, federal, and international settings; and those who perform a sub-set of activities within a larger evaluation context. In the summer of 2016 members of a CE Communications Working Group, in conjunction with Vice-President, Gail Barrington, decided to ask CEs to share their stories. Many thanks to the team: Joan Kruger, CE, Rebecca Mellett, Johann Jacob and Marthe Hurteau, CE.